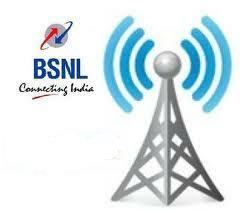 Want to check Bsnl Usage There are many Plans in Bsnl some are limited and some are unlimited For limited plan you will be charged is you exceed the usage .there will be a condition for charges it differs from plan to plan. Many user exceed their Usage and then they cry because their telephone bills are too high Therefore data usage should be checked periodically If your usage has been exceeded then you have to disconnect your internet connection. For Unlimited user there is no worry you can use as many as you want fix rent per month. Step1:- Go to "data.bsnl.in" user ID and password will be provided to you while giving connection. Step3:-Click on "View your postpaid Usages"
Step4:-Select "Broadband" on Service Name. Step5:-Select the month of which you want to check the usage.. Check the usage and keep track on usage it should not exceed to your plan limit . Your total volume will be shown. and if you have night unlimited form 2-8am then your usage will in shown in chargeable units excluding Night Unlimited. If you find this difficult or boring use inbuilt software which will meter your usage to download software Click Here. and to check your bandwidth Click Here . NOTE:- Use Bandwidth meter to check your usage Click Here .